Well... It's been a few days since my last post and to be honest, as guilty as I feel for not having posted what I was going to over the last week (all the posts I normally write around this time of year), it's been lovely being offline for a while, especially for Christmas. Today I thought I'd finally get back to it and share what I got for my birthday a week and a half ago. I was working on my birthday and I had family come over to see me. It was quite a good day considering I worked and I felt super loved by my friends and family. It meant so much to me to see and be with them on my birthday. So, as I mentioned, I went to work on my birthday and I was surprised to get gifts from my closer work friends. My two closest friends at work gave me this gorgeous bracelet that I've been wearing everyday since my birthday. It's beautiful and sits well with my other jewellery. My two gals told me it's a friendship bracelet too and I have so much love for their thoughtfulness and more so for their gift of friendship. Also from another work friend, I was given this fab Harry Potter notebook along with a Hogwarts key ring and some Harry Potter pins. I completely forgot to get them to photograph them. The pins are already on my denim jacket and the key ring on my keys. I love a little Harry Potter merch and my friends know I'm a Wizarding World geek already! I even named some of my class groups after Fantastic Beasts! 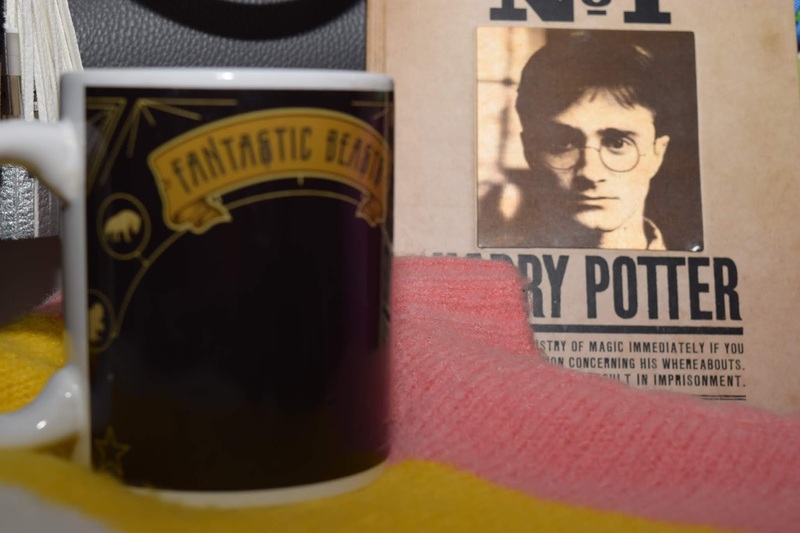 Speaking of Fantastic Beasts, I also got this mug from my brother which changes with heat. 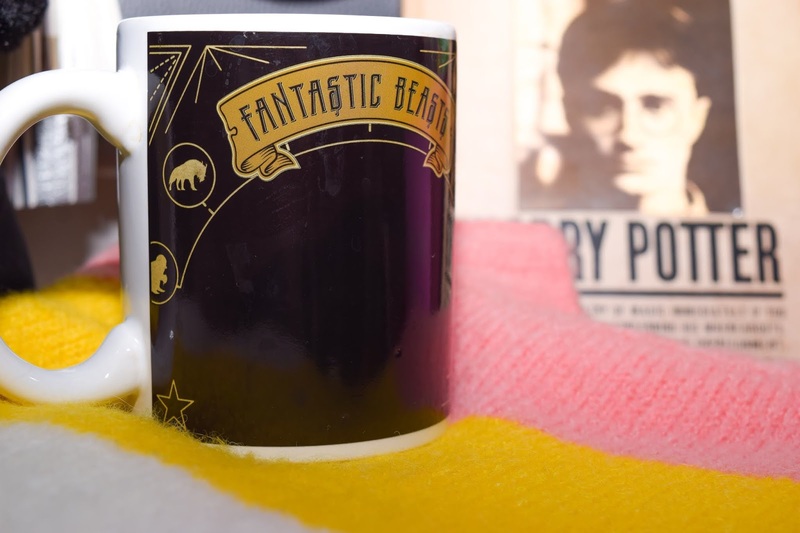 Here you see it plain black with the outline of some beasts around the edge, but with a hot cup of tea inside, a Niffler appears! John is fab when it comes to clothes and he knows my style, so I was pleased to get this gorgeous striped jumper from Next. I actually wore it on the day and I got lots of compliments on it. 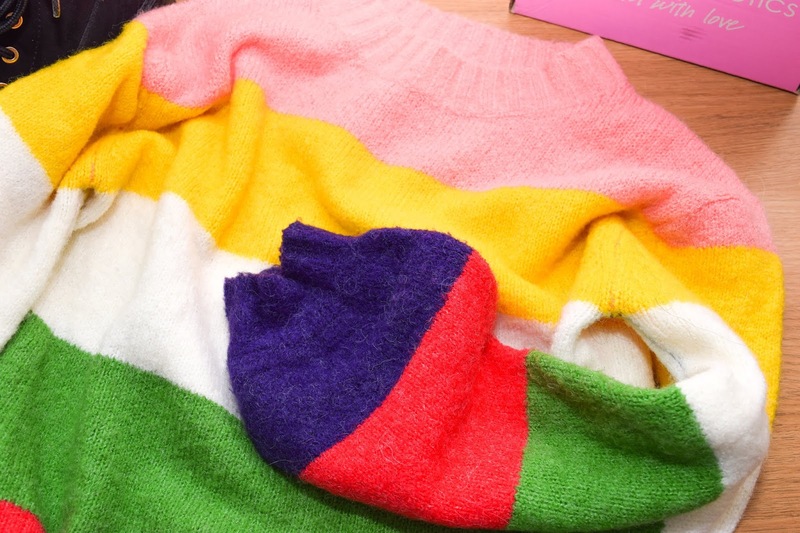 I'm always really happy to get jumpers. They're one of my favourite things to wear. John also gave me this gorgeous bag from Carvela. I kinda gave him a light telling off for buying something that was a little more expensive but I really appreciated such a nice bag. 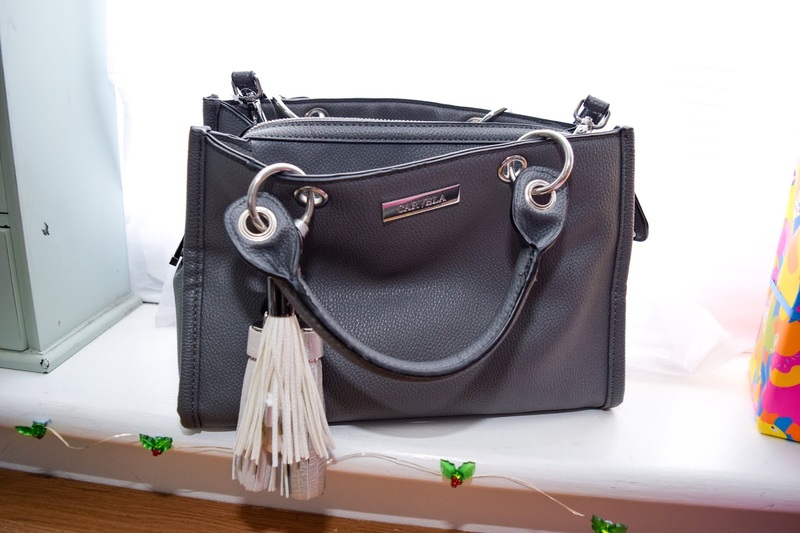 It's a pretty dark grey with three sections and a shoulder strap just in case you don't fancy carrying it. I also really like the tassels that add a little more detail. The extra white one was a Christmas gift I'll mention in my next post. I've been using it almost everyday since I got it. It's going to be my weekend and holiday bag as I don't want to ruin it with day to day use. Last but not least from John, I was given these fab black boots from Dorothy Perkins. I've always loved Dorothy Perkins' footwear and this is no exception. Again, I've worn them a lot since I got them and they're really comfortable and warm. 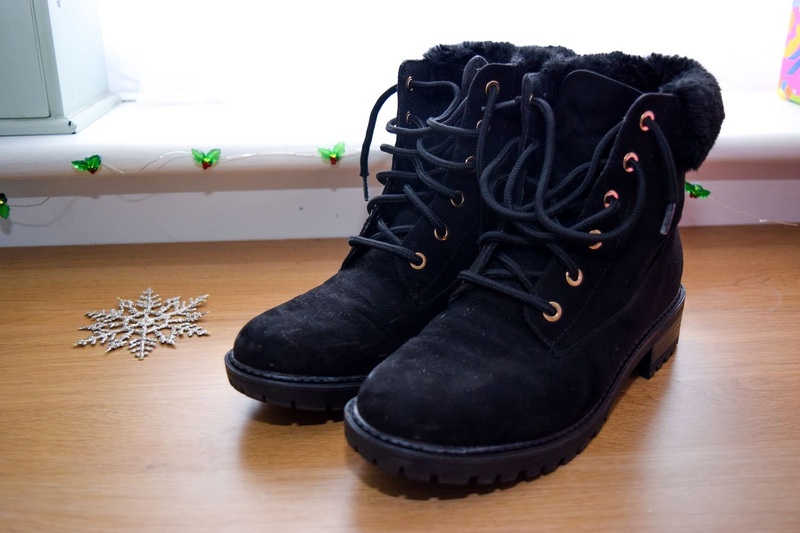 They also look great with jeans for a comfy winter look. 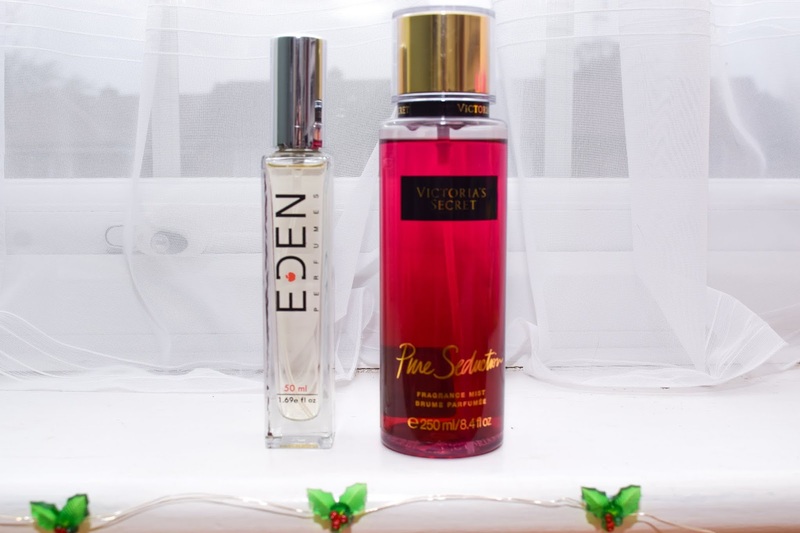 I've recently become a huge fan of Eden perfumes and so I was happy to have received one from one of my closest friends. It smells amazing and even more so, it's a Cruelty Free fragrance brand. I also received a Victoria's Secret body mist in a scent I've always admired on my sister from my sister. She's always been a fan of them and so decided to get me a bottle of my own. 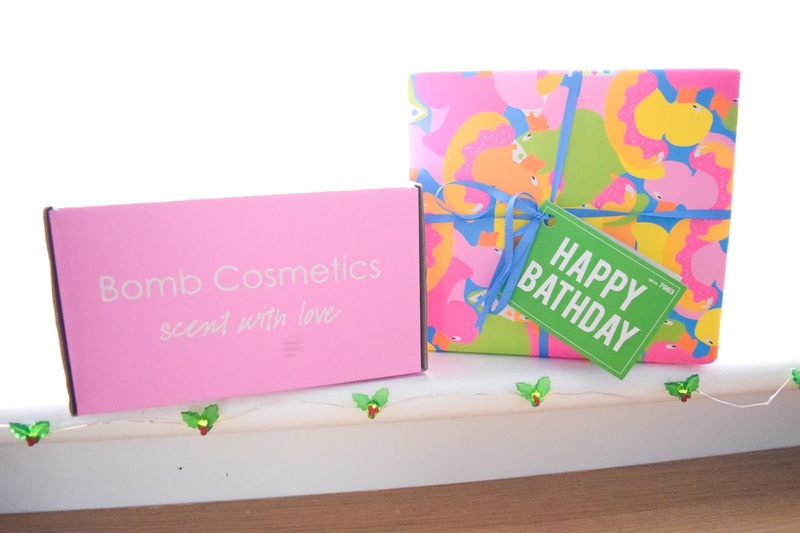 This year, I was lucky enough to receive a couple of boxes full of bath goodies! 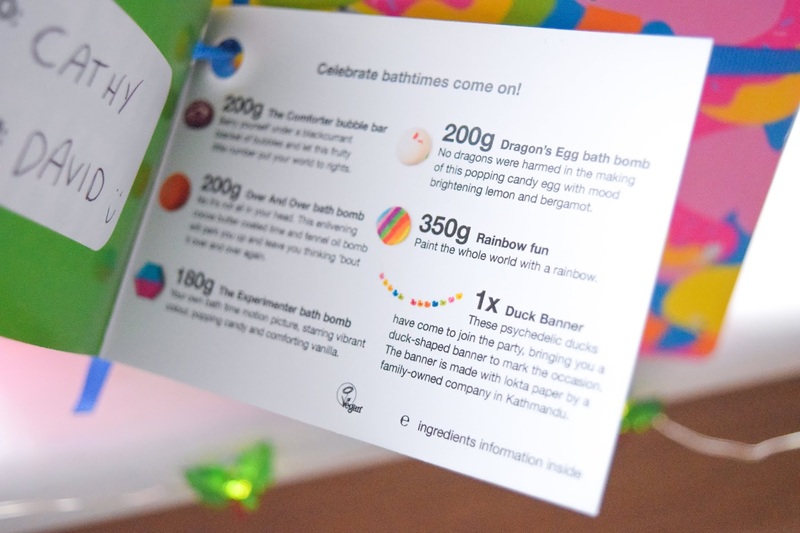 I'm a huge fan of bath bombs, especially now that I have my own bath. From a friend at work I was given some Bath Cosmetics goodies which I'm excited to try and from my brother, I was given a Lush 'Bathday' box. I still haven't used any of them but I'm excited to get into them. 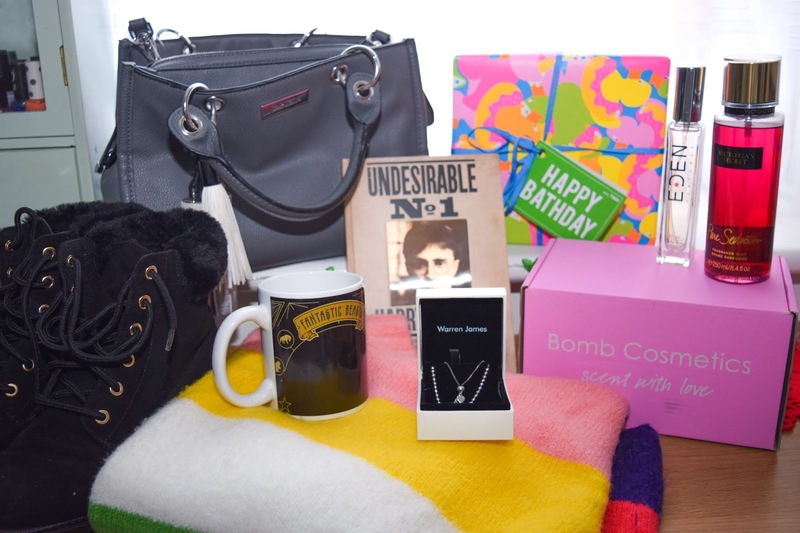 I did get a couple of other things which I didn't photograph for this post, like a fryer that my mum gave me and of course my little Syrian Hamster, Cracker. I was pleased to get something new for my kitchen, especially because now I can have a go at making my own onion rings. I'm also a fan of fried chips too so it'll be nice to make my own homemade chips. My birthday wasn't big and I didn't do much for it, but for the first time in a long time, I was happy with that. After having such a fab birthday last year, I didn't feel the need to top it and so I enjoyed being around my family and friends and even work was fun. Here's to the final year of my twenties. I'm going to make it a good one!